The best in the world. It’s hard to say about pretty much everything. There is always debate. Always another opinion. Always room to argue. When it comes to motorcycle helmets, that conversation is a tough one if arguing against Schuberth. The all new Schuberth SR2 Helmet is, well, not entirely “all new.” It’s actually been out for a bit now, tearing through the European countryside and providing some of the most premium race-grade features anywhere on the earth. Developed (as all Schuberth helmets are) with an ardent focus on precision aerodynamics, the SR2 is the latest iteration in a long lineage of ultra-premium Schuberth helmets that are at their core, built to go fast. 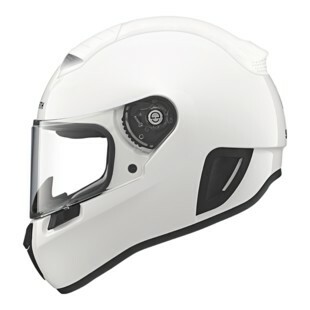 In addition to the lightweight fiberglass outer shell that retains top tallies in the safety category, the Schuberth SR3 Helmet also features a no-lift design, minimized buffeting, and increased levels of interior venting all work together to make this one of the most notable go-fast motorcycle helmets of the year. Exciting stuff out of Schuberth is to be expected. For the Fall of 2016, they have not disappointed.